SOUTHINGTON - Southington UNICO will host its inaugural Charity “Beefsteak and Brew” event Sept. 14 at Hawk’s Landing Country Club. 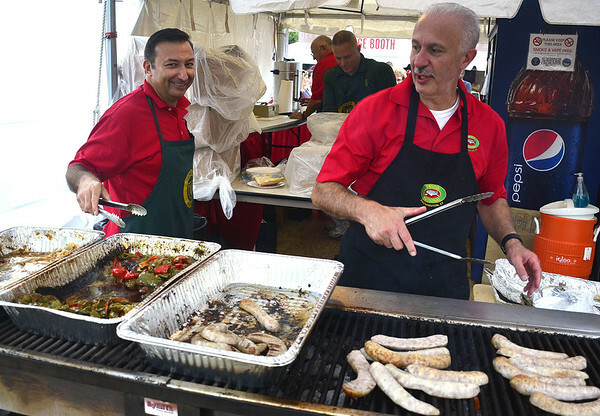 UNICO board member Mike Fasulo, who heads the committee for the event, said that the “carnivorous gluttony” will be held from 6 to 8 p.m. at the club at 201 Pattonwood Drive. Participants will be adorned with butcher hats, eat tender morsels of beef steak served on pieces of bread and wipe the grease on large napkins or aprons. No knives or forks will be allowed. As the event progresses, each dining group will compete to build the tallest tower of greasy bread hunks. “You don’t win an actual prize, but isn’t a giant tower of bread a reward in itself?” joked Fasulo. Fasulo said that utensils will be available for the “faint of heart” but that bread stacking is highly recommended. The meal will include unlimited thin-sliced flat iron steak on crostini (an Italian appetizer with small slices of grilled or toasted bread and toppings), fries, salad, two beers, soda and water and a cash bar. Participants will also receive a complimentary butcher hat. Proceeds will support UNICO’s annual donations. Fasulo said that the event is intended to be a revival of a “classic New York festival.” He was introduced to the concept by a friend who had attended one of these events in New Jersey. Tickets are $35 per person and can be purchased at Fasulo & Albini, CPAs and by calling 860-276-9787, ext. 101. UNICO is the Italian word for “unique”, chosen to represent the one-of-a-kind nature of the organization. The word has since become a backronym which stands for Unity, Neighborliness, Integrity, Charity, Opportunity, according to their website. Posted in The Bristol Press, Southington Herald on Monday, 21 August 2017 21:31. Updated: Monday, 21 August 2017 21:33.